Free of charge, The Felix Project collects good quality food from suppliers, check it’s fresh and then deliver it to charities so they can give vulnerable people a healthy meal or snack. The Marleybone Project provides 112 long and short term beds to homeless women and offer essential facilities and support to women who visit our rough sleeper’s drop-in at their Centre. GIFT is a Jewish charity that aims to teach young people to give while helping those in need. Barnet Carers Centre provide support to individuals who are caring for a family member with an illness or disability. Hestia works together with adults and children in crisis and are the largest provider of domestic abuse refuges in London. 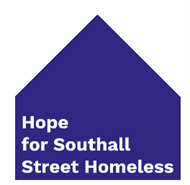 Hope for Southall Street Homeless – This community initiative works to holistically support Southall’s homeless population. JAMI supports individuals who have been affected by mental illness – with a specific focus on recovery. Norwood is a Jewish charity which strives to ensure that everyone is able to live the life they choose, irrespective of their ability. Rumi’s Kitchen – Rumi’s Kitchen is Ulfa UK’s project aimed at providing support to the homeless and other vulnerable individuals. St. John’s Hospice offers specialised palliative care to more than 3000 terminally ill patients and their families every year. Trussel Trust Foodbanks – The Trussel Trust partners with local communities to help stop hunger by providing a minimum of three days’ emergency food and support to people experiencing crisis. 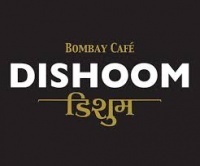 Dishoom is a worldwide chain of Indian restaurants who run events to break down social barriers and serve the hungry.